Generally, birds are considered as symbols of peace and love. But on Stork Stash Slot at Vegas Spins, it is a completely different story! Indeed the birds on this amazing game are full of impish intent. On this 5-reel, 25-payline slot by Section 8, meet mischievous storks who have just stolen bundles of cash and are trying to escape. If you become their ally, you can even receive a share of their loot. Join the storks for lots of adventures! Launch this slot at Vegas Spins using a mobile or desktop device. 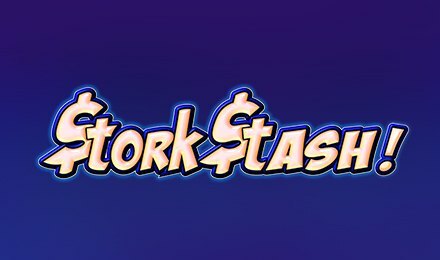 Get started on Stork Stash Slot using one of the available bet values. Make use of the Max Bet button if you wish to place the highest bet in a single click. Once your preferences are all set, press the Spin button to begin. With combinations of 3 or more identical symbols on the reels, you can earn a win. Do you need to multitask during the game? No worries! Use the Auto Play feature to launch 10, 25, 50 and 75 game rounds which play on their own. Bet Levels: Bet levels are unavailable on this slot. Amount of Paylines Selection: All the 25 paylines are fixed and cannot be modified. Coin Values: Press the + and – buttons to select one of the predefined bet values. Look out for the Bank icon on Stork Stash Slot for it is Wild and substitutes for all symbols, except Scatter. It shows up only on reels 2, 3 and 4. During the base game, it expands into a Wild reel when it is part of a winning line. Scatter is represented by the Vault icon. It helps to activate the Free Spins Feature, rewarding you with 12 free spins. Any win which includes a Wild symbol is also multiplied by 7 times. When more Scatters appear during this round, free spins are retriggered. The Double Up Feature is also available on Stork Stash Slot. After a base game win, click on the Double Up button to activate the feature. It allows you to double every payline win. During the feature, choose either Heads or Tails. If your guess is right, your win is doubled. On the next coin toss, you can either try to double your win again or click on “Collect” to end the round. Launch Stork Stash Slot anytime on Vegas Spins, where a wide range of online games is also available. Wish you all the best!